“Are you crazy?” That’s the typical response we’ve been getting after telling family and friends about our plan to visit Ukraine in December of 2018. Indeed, the recent news have been troubling – the country’s president just declared Martial Law in half of Ukraine, while Russia has reportedly amassed huge military force along their shared border. Not to be outdone, Ukraine’s four orthodox Christian churches are in the process of unification and splitting away from the Moscow Patriarch’s supervision – another potentially explosive development. 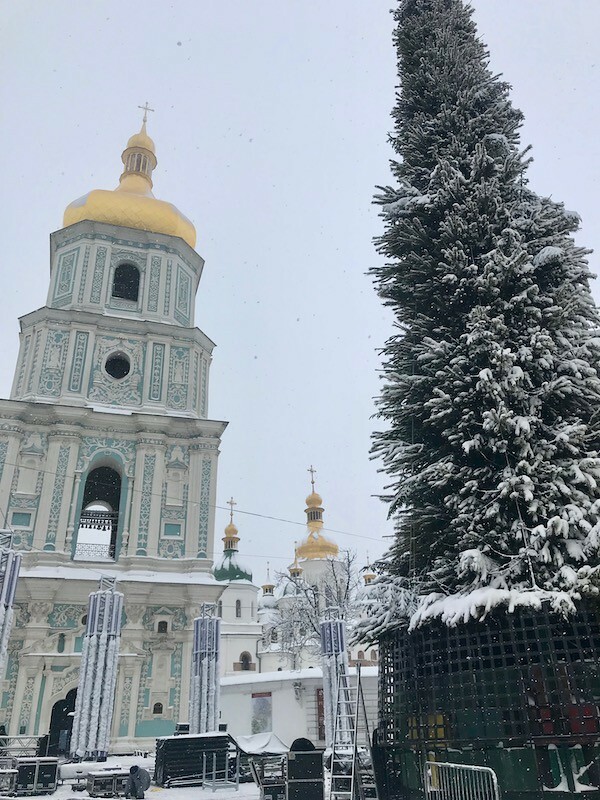 All of these “cheerful” news aside, everyone was mostly concerned about us traveling to Ukraine during its infamous winter, when the land is covered with snow and ice, and the temperature drops well into the freezing territory. Wishing you lots of happiness, success and health in the 2019! No matter what, there’s no place like home! Kiev is so charming! you guys won’t be daunted by snow, ice or Russian troops!